BERLIN -- Volkswagen Group said earnings rose 15 percent in the third quarter, benefiting from cost cuts at its core VW passenger cars division. 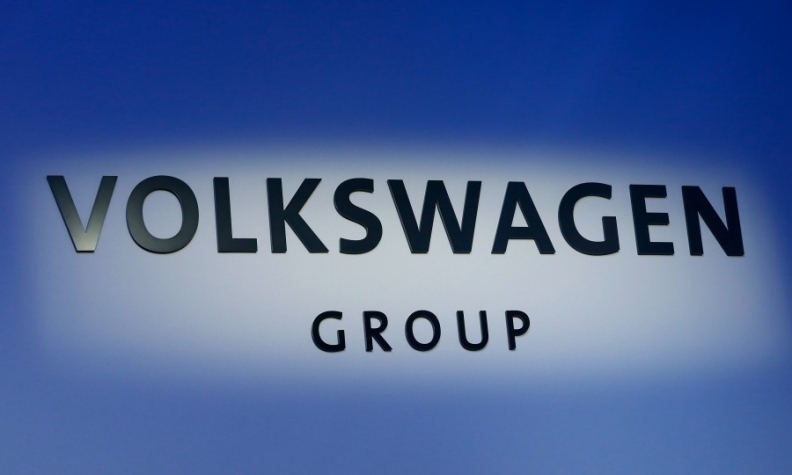 Quarterly group earnings before interest and taxes (EBIT) and before special items jumped to 4.31 billion euros ($5.01 billion) from 3.75 billion a year ago, VW said on Friday in a statement. Operating profit, including costs related to its diesel emissions scandal, dropped 48 percent to 1.72 billion euros ($2 billion). VW said it booked 2.6 billion euros in the three months ended Sept. 30 to fix diesel engines in the U.S., confirming an announcement made last month that will raise total provisions for its diesel scandal to 25 billion euros. The automaker lifted its annual profit outlook. It now expects the group's operating margin to moderately exceed a target corridor of between 6 percent and 7 percent, having previously forecast the margin hitting that range. Group revenue may exceed last year's 217.3 billion euros by more than 4 percent, VW said, keeping its previous guidance. VW Group's expansion of its lineup of SUVs, with models such as the VW Atlas, Skoda Karoq and Seat Ateca, has attracted more buyers, helping the company absorb the ballooning costs of the emissions scandal and finance unprecedented spending on a shift to self-driving, electric cars. Even as Volkswagen still faces numerous investigations and lawsuits from its diesel crisis, the company is ramping up spending on a 20 billion-euro project to develop electric versions of all vehicles across its lineup by 2030. The company generated 1.85 billion euros in cash in the third quarter. Nine-month revenue was up 6.8 percent to 170.9 billion euros. "Earnings in the first nine months make us quite optimistic about the year as a whole," Volkswagen finance chief Frank Witter said. "This is a strong foundation we can build on." Group operating profit before special items increased to 13.2 billion euros in the first nine months from 11.3 billion in the prior-year period. After the deduction of special items, profit rose to 10.6 billion euros from 8.6 billion. "The company is showing remarkable resilience, and the headwinds from 'dieselgate' are slowly starting to ease," said Juergen Pieper, a Frankfurt-based analyst with Metzler Bank. "VW has more potential to improve profits further in coming quarters." Among the group's brand portfolio, VW, Porsche, Skoda and Seat posted higher profits while results at Audi and Bentley were hit by falling vehicle sales. The automaker's core VW brand doubled operating profit before special items to 2.5 billion euros through September, helped particularly by cost optimization measures, VW said. Audi's profit before special items at 3.9 billion euros matched the prior-year level. Its vehicle sales fell slightly to 1.1 million during the first nine months. Skoda's profit rose 28 percent to 1.2 billion euros, while Seat's result improved 12 percent to 154 million euros. Bentley's profit fell to 31 million euros from 54 million as its vehicle sales declined to 7,498 from 7,825, and price and product mix related effects offset positive currency impacts. Porsche's profit rose to 2.9 billion euros from 2.8 billion, mainly due to higher sales, especially of the new Panamera. The outcome of Brexit talks poses risks for Bentley and Catalonia’s independence drive threatens to disrupt Seat, which is based near Barcelona. VW is spending billions of euros to reposition the business two years after its diesel-emissions scandal, pushing electrification of its mass-market and luxury brands while developing digital mobility services to attract people less keen on owning a vehicle.